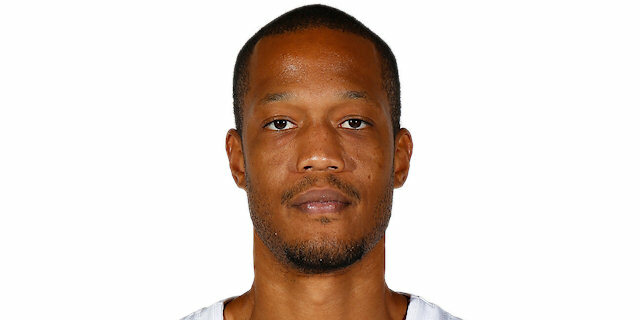 In a playoff game for the ages, Anthony Randolph was the difference with 10 points in overtime to lift Lokomotiv Kuban Krasnodar to an 80-92 victory over FC Barcelona Lassa in Game 4 of their Turkish Airlines Euroleague Playoffs series at Palau Blaugrana on Thursday. The result knotted the best-of-five affair at 2-2 and set up a do-or-die Game 5 for next week in Russia. Randolph finished with 28 points and 7 rebounds, while Victor Claver, who had been quiet all series, posted 17 points and 10 rebounds. 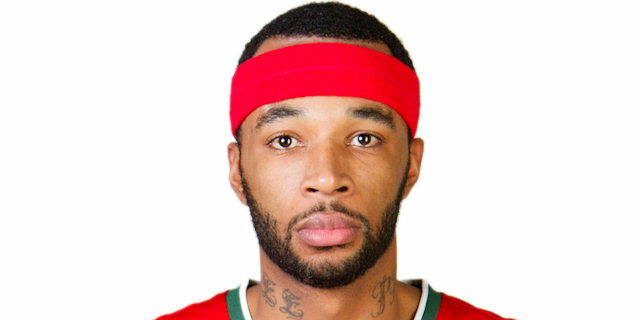 Malcolm Delaney amassed 15 points, 7 rebounds and 7 assists, Chris Singleton scored 14 and Matt Janning 10. 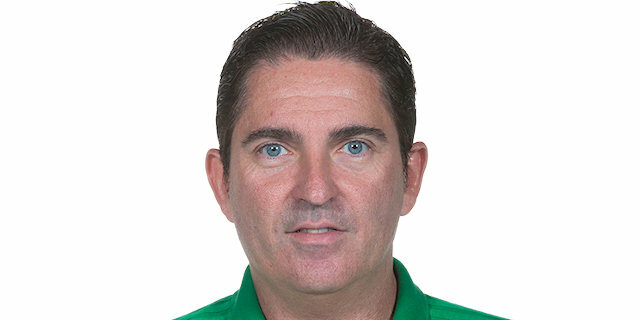 Juan Carlos Navarro led the hosts with 19 points, including a spectacular fadeaway jumper in the closing seconds of the fourth quarter to force overtime. 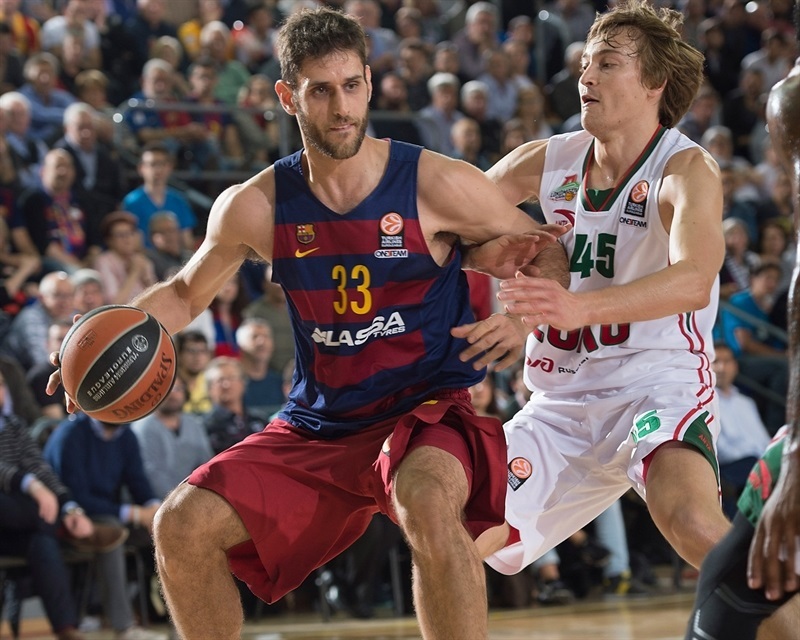 Ante Tomic scored 18, Stratos Perperoglou 13 and Tomas Satoransky 10 in defeat. Lokomotiv led for the majority of the first half, by 5 at the break and as many as 7 in the fourth quarter. 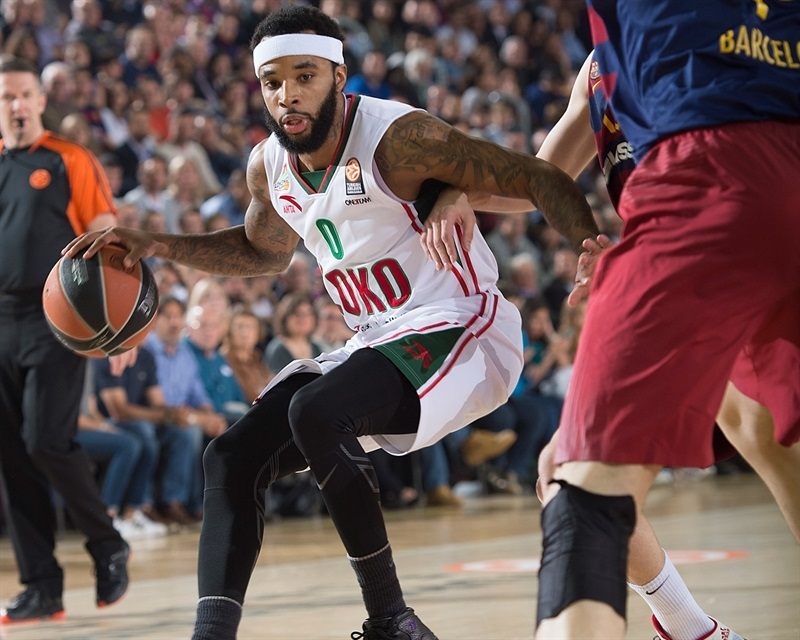 Navarro capped a 9-0 third quarter run with a triple as Barcelona went ahead, but Singleton shined in Lokomotiv’s 0-9 charge in the fourth. 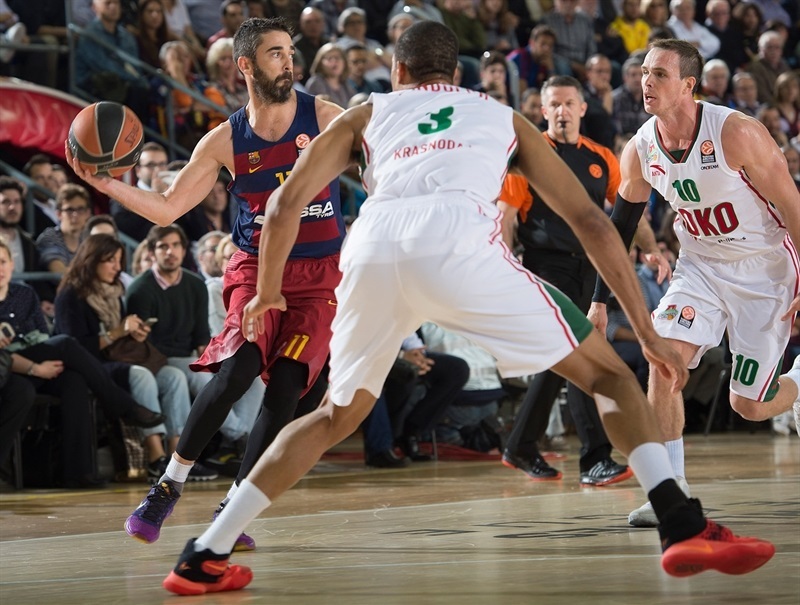 It came down to free throws in the end and Barcelona got a chance to tie it, which it did thanks to Navarro. However Randolph took over in the extra five minutes to extend the series. Randolph drilled a three from the top of the key to open the scoring. 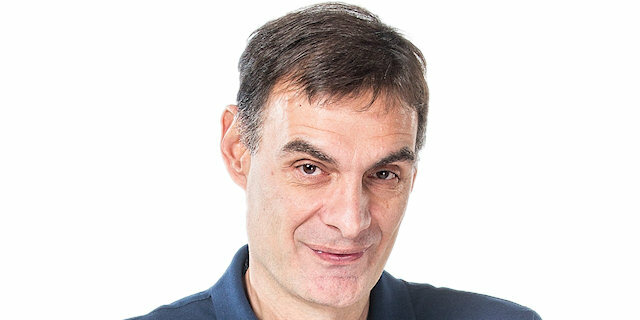 Barcelona’s first basket was also from behind the arc, thanks to Perperoglou. Sergey Bykov took advantage of space to penetrate for a layup. After Tomic split free throws, Delaney got a lucky bounce on a three. 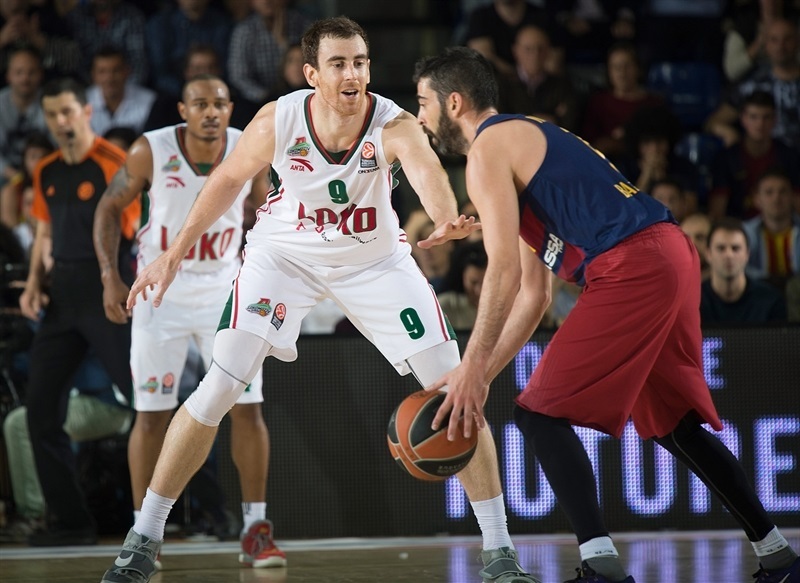 Satoransky and Claver each drove for tough layups. Tomic scored inside to make it 8-10 midway through the quarter. The visitors’ offense shined again with Bykov finding a cutting Claver for a layup and Randolph sinking a pull-up jumper. Barcelona tried to regroup with a timeout and Navarro came to the rescue with a floater. Andrey Zubkov came off the bench and scored thanks to a nice move by Randolph. 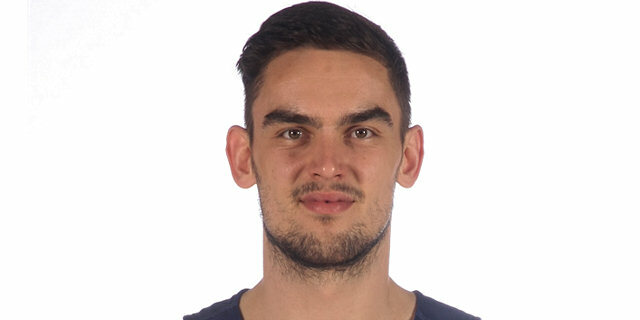 Satoransky shined on defense with a block of Delaney and Navarro’s floater in the lane made it 12-16. Randolph scored on a broken play, though Satoransky countered with free throws. 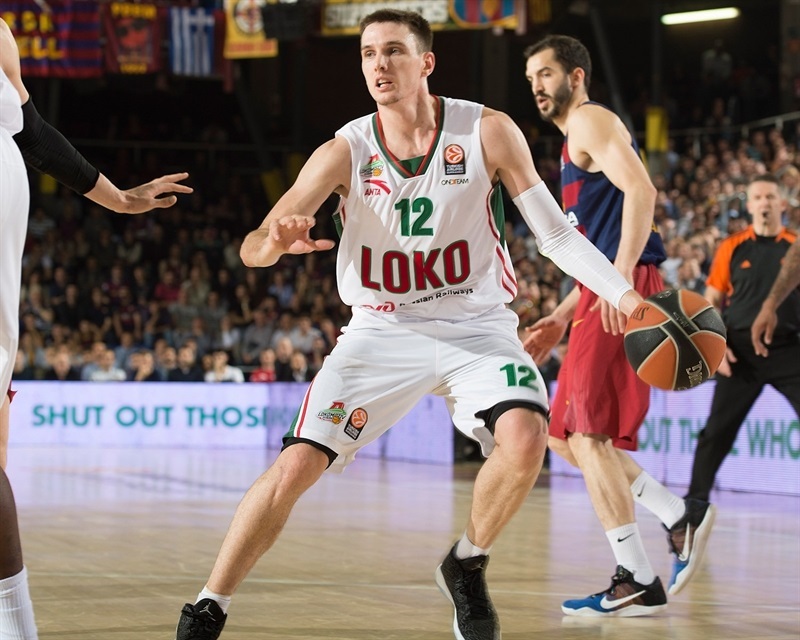 Perperoglou came up with a steal and took it in for a three-point play, but Janning responded with a triple before Satoransky’s floater closed the gap to 19-21. 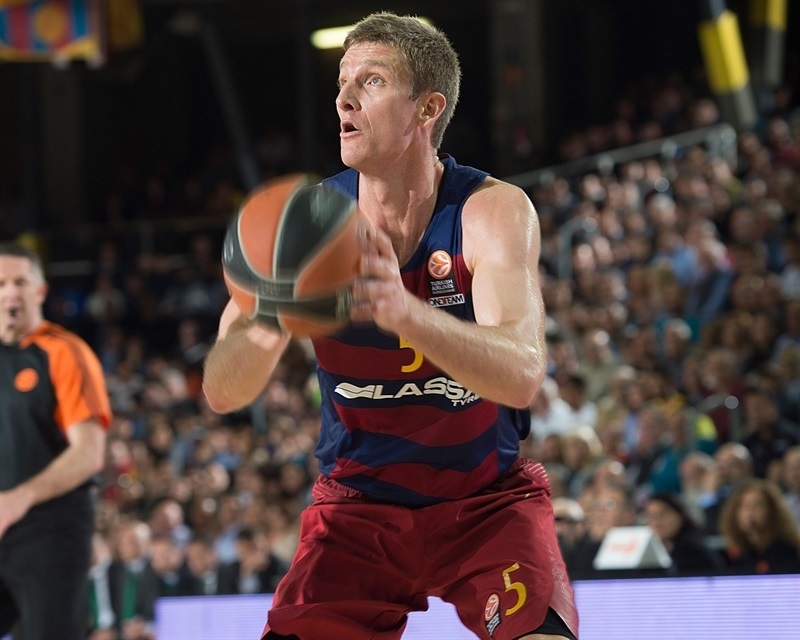 Justin Doellman nailed a three from the top of the key to give Barcelona its first lead, 22-21. Alex Abrines added a three from the corner before Singleton’s layup got Lokomotiv going. Singleton added a three as the visitors regained the lead. Randolph added free throws before Tomic scored at the other end. Dontaye Draper found space for a layup and Singleton took a steal for a slam and a 5-point lead. 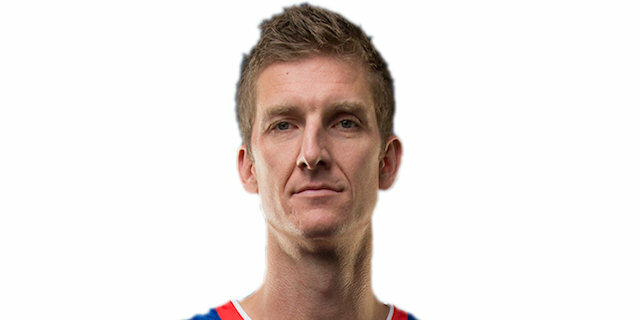 Doellman shined with a three-point play, but gave it back when he fouled Claver on a made basket. Singleton was called for a foul on Antic – and then a technical for arguing. Navarro sank the free throw and Perperoglou added 2 more to bring the hosts within 33-35. Navarro’s bomba in transition tied the score, but Draper soon had Lokomotiv back on top with free throws. Claver finished a three-point play on the break to give his team a 35-40 halftime advantage. Tomic sank a pair of free throws and then scored down low to open the second half. Delaney drilled a triple to keep Lokomotiv on top. Delaney found Anthony for an alley-oop slam and a 39-45 lead. Doellman split free throws, but Delaney threaded the needle on a pass to Randolph. Tomic kept Barcelona in the hunt with free throws, but the difference was 7 again after Randolph’s fast break layup. 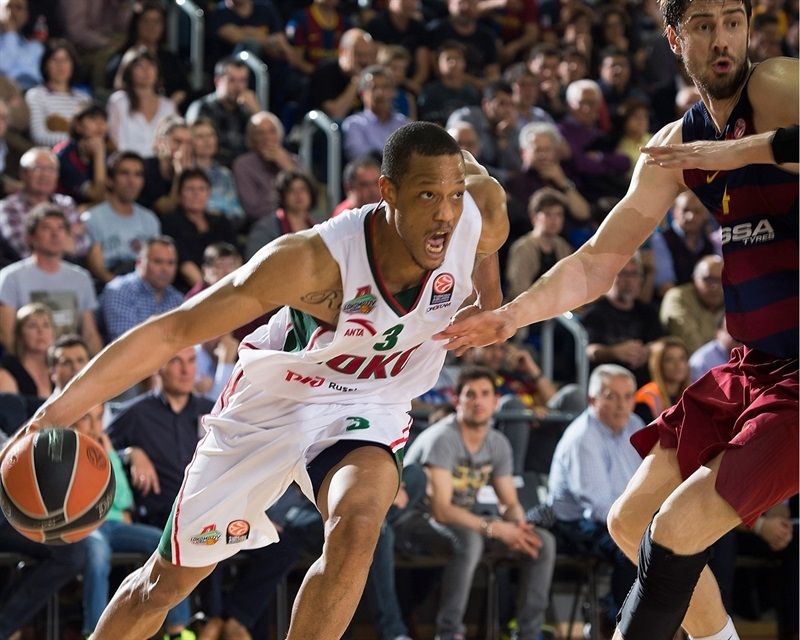 Randolph rejected Doellman and then drew an offensive foul as the Lokomotiv defense shined. After a timeout, Navarro swished a triple to the delight of the crowd. Claver scored off an inbounds pass, but a great pass from Perperoglou found Abrines for a basket. Abrines sank a floater and Samardo Samuels scored inside to even things at 51-51. Navarro drilled a step-back three-pointer with the shot-clock winding down to cap a 9-0 run. Claver beat the shot clock with a triple to tie it. Doellman hit a jumper, but Claver scored after a missed Singleton slam. Satoransky drove for a layup to push the hosts in front. And Samuels added free throws. 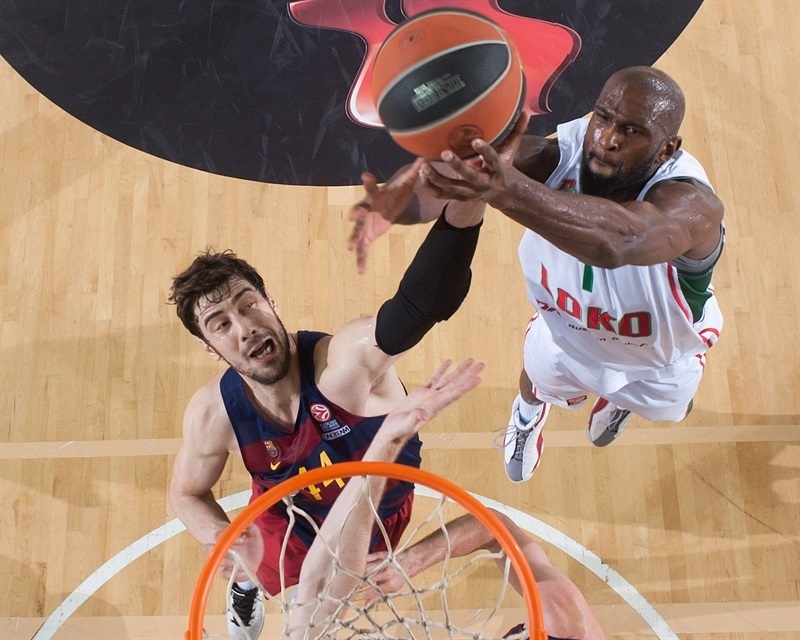 Singleton brought Lokomotiv right back with a three-pointer. 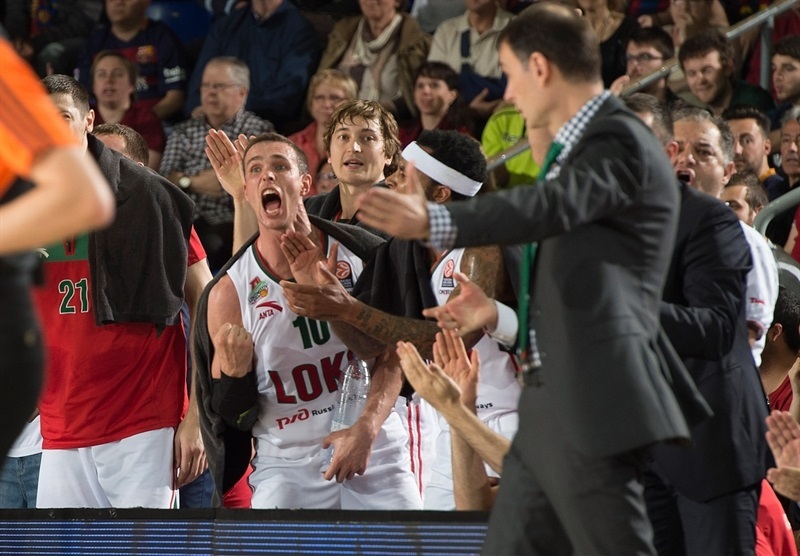 After a block by Claver, Singleton put Lokomotiv back on top, 60-61, with free throws. Delaney broke loose from his defender for a layup. And he struck again with a long baseline jumper that made it 60-65 with five minutes remaining. 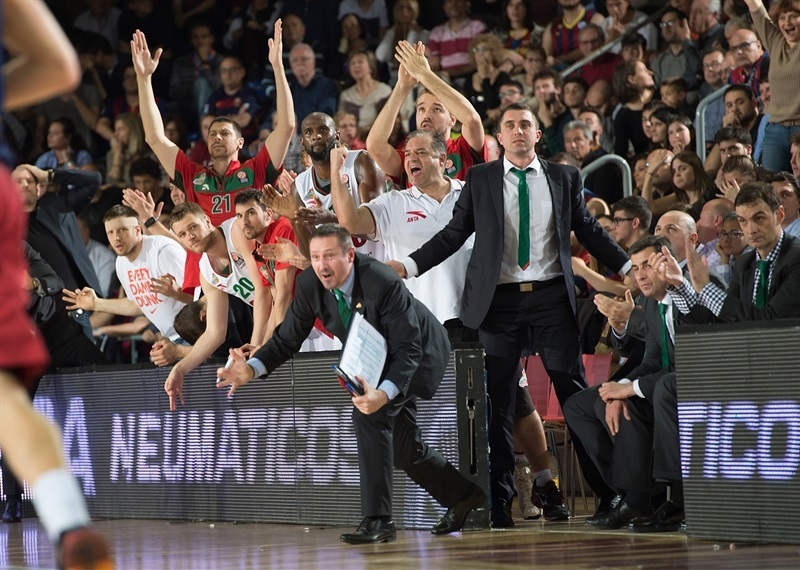 Perperoglou ended a 0-9 Lokomotiv run with 2 free throws, but Singleton responded with a jumper. Perperoglou brought the crowd to its feet with a triple. Janning drilled a tough jumper and Randolph scored after rebounding his own miss for a 65-71 lead with less than two minutes to go. After a timeout, Tomic converted a three-point play. Delaney and Tomic traded free throws and the difference was 70-73 heading into the final minute. Perperoglou missed a three that would have tied it, but Singleton fouled out going for a rebound and Antic made the resulting free throws with 15.3 seconds left to make it a 1-point game. The game came down to free throws; Janning and Navarro each made 2. Then Randolph split with 12.5 seconds left and Navarro tied it at 76-76 with a wild fadeaway jumper with 2.9 seconds left. Delaney missed a jumper at the buzzer and the game went to overtime. After both Delaney and Navarro missed from downtown, Randolph drilled a jumper for the visitors. Navarro’s floater tied it at 78-78. Randolph took over with a three-pointer with the shot-clock about to expire and a big defensive rebound. The big man then found Janning for a triple and a 6-point lead. 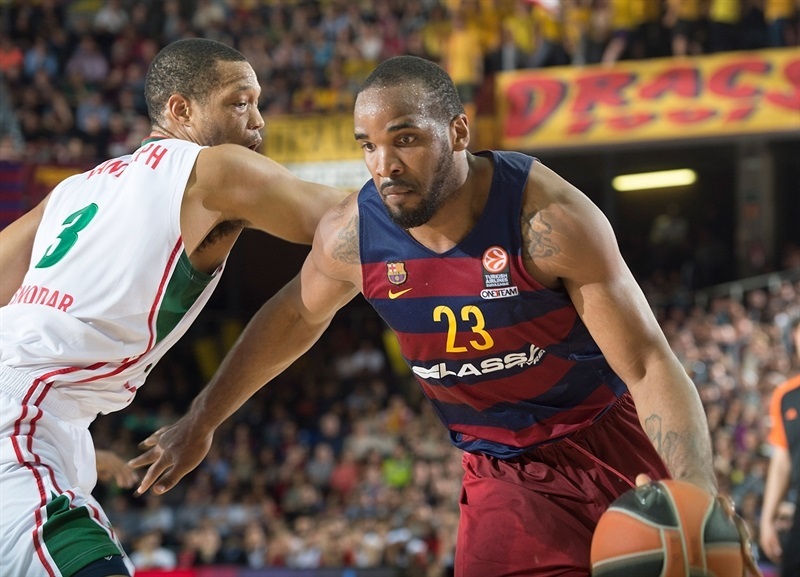 Randolph drove for a slam, which prompted a Barcelona timeout. After Tomic missed in the paint, Randolph added a triple for an 11-point lead, which all but sealed the win. 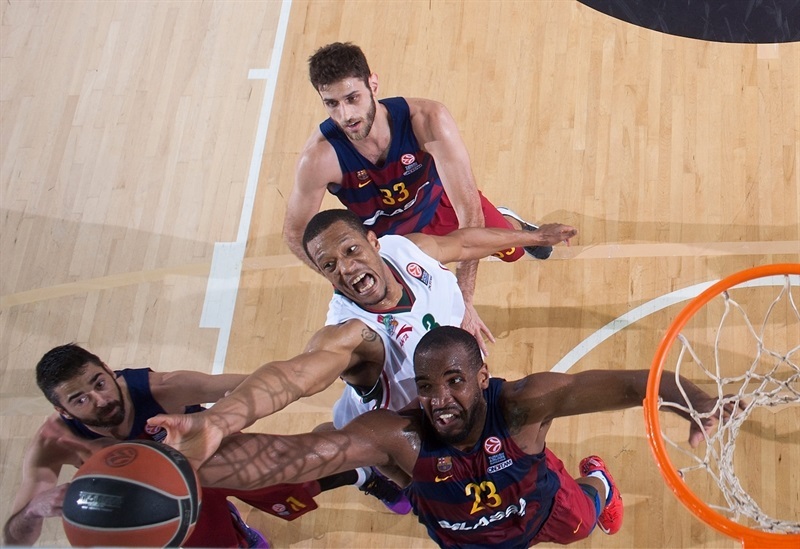 Tomic and Delaney traded free throws, but time had run out on Barcelona’s chances to win the series at home. "Good night and thanks for the support of our fans, congratulations to Lokomotiv for the win. We could have expected this kind of game. It was very important that started behind in the score, because that made us more imprecise or nervous. Our shooting percentages, especially from three-points, killed us. During the overtime, the shooting percentage was the key. It was a tense game, we didn’t find continuity in our defense, and we made some mistakes. During the third quarter we were better, but not in the fourth. We made mistakes that decided the game. The last three-pointer, a block at the end, little things made lose the game in terms of defense and on offense the percentages of three-pointers was decisive. " "I think we did a serious game today. We controlled everything that we needed, we should do. And finally we have the players with the personality that decided the result. Although we won in overtime, and the momentum was with Barca, we saw character and personality, we saw mental toughness which is very important now for this level. I think we have to control our emotions. Except for one game with Barcelona, Game 2, which we lost easily, every game was very tight. So it depends on how you control the emotions, how mental toughness you have. We will try to calm down a little bit and analyze the game and prepare for the fifth game. " "Today was really difficult. We didn’t play our style and that hurt us. They got out in transition and they killed us on the rebounds. That was the main difference. Unfortunately we lost, but we still have one more game to go. The fans were awesome. Unfortunately we didn’t pull out a win for them. " "We let a lot of easy baskets for them that we didn’t allow in previous games and this gives them a lot of shots. And it gives them something that they need because they have a lot of individual talent and can score baskets-one-on-one in the last seconds. And we didn’t play a good game compared to the two others before, not even in offense. We [spent] a lot of energy to force the game to overtime and just didn’t have the energy that we did before. " "It was tough; Barcelona is a tough team. But we just had to stay together and play 40 minutes today, or 45. We did everything that we normally did in the regular season that made us successful. We moved the ball, we shared it with each other and we got stops. And we played till the end. " "It was a team win. We kept fighting, you know, this is a tough place to play. I’m just glad we made shots at the end and we got the win. Hopefully we can get a win at home and go to the Final Four. The team, all year we fought and just found way to win and tonight was the same thing. We just gotta get one more. It was tough; they have great players. Any given night somebody can have a good game for them. It’s hard to gameplan for them. We just got lucky tonight. It was a great win for Loko fans, the management, everything. "